CIT and Union Car Parks (UCP) have today announced the exchange of contracts with Network Rail for a prime development site on St Thomas Street in London Bridge. The 0.6-acre former car park site, known as Vinegar Yard, is owned by Network Rail and currently used as a work compound for the redevelopment of London Bridge station. CIT and joint venture partner, UCP, plan to regenerate the site into a new mixed-use development, which will complement the ongoing enhancement of St Thomas Street and the wider transformation of the London Bridge area. CIT has delivered a number of successful developments in Southwark, including the transformation of South Bank Tower, a previously unused office block on the South Bank, and the Greater London Authority and Ernst & Young headquarter buildings at More London. The firm’s portfolio also includes sites in Kensington, Marylebone, City of London and most recently, Finsbury Tower on the City Fringe. Ben Scrimgeour most recently redeveloped and now operates Flat Iron Square, on another site belonging to Network Rail near London Bridge, which opened last year and is already recognised as one of London’s best street food and entertainment venues. with the renowned architecture firm in the redevelopment of South Bank Tower. 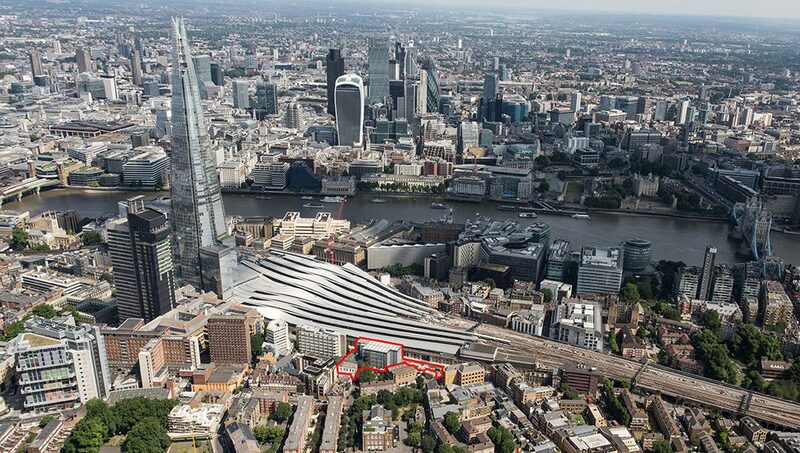 Network Rail is currently rebuilding London Bridge station as part of the Thameslink Programme. The final section of the huge, new street-level concourse and newly rebuilt platforms 1-5 will open on 2 January 2018. January marks the start of the final countdown to the completion of this modern station with better facilities, new journey options and– throughout 2018 – a vast array of new retail facilities to continue the regeneration of the area. CIT and UCP will now begin work on proposals for the site. Plans are expected to be submitted in 2018. Network Rail was represented by Jones Lang LaSalle.